"Travellers have chosen the wind as their profession"
Rio Coverino is ideal for discovering the historical and archaeological treasures of the province of Viterbo. 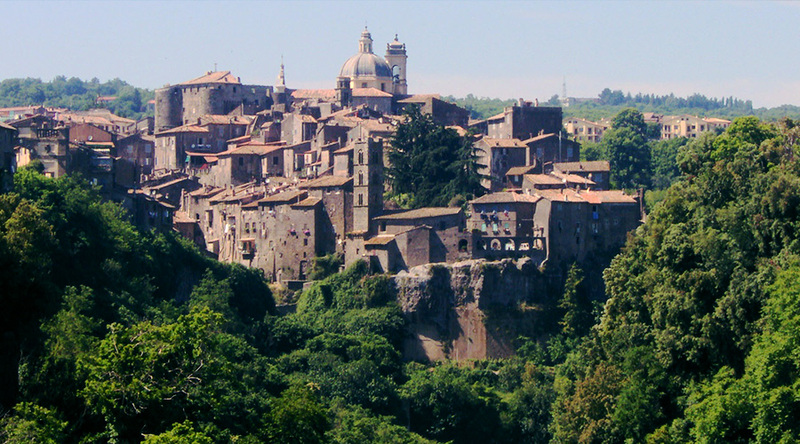 The Etruscan capital of Northern Lazio, Viterbo boasts a perfectly-preserved medieval quarter, San Pellegrino, which often hosts lively fairs and markets. The city is still surrounded by its turreted medieval walls in local grey peperino lava stone, and is accessed through its seven original gates. Viterbo is rich in lavish palazzos, churches, fountains and towers, many of them in the typical local peperino stone, and adorned with arches and picturesque views. The main attractions are the famous Papal Palace, with its splendid loggia; the Romanesque Cathedral, rich in works of art, and surmounted by a Gothic bell tower and the medieval Piazza del Plebiscito with its Palazzo dei Priori and Palazzo della Potestà, the political heart of the city since the Middle Ages,. 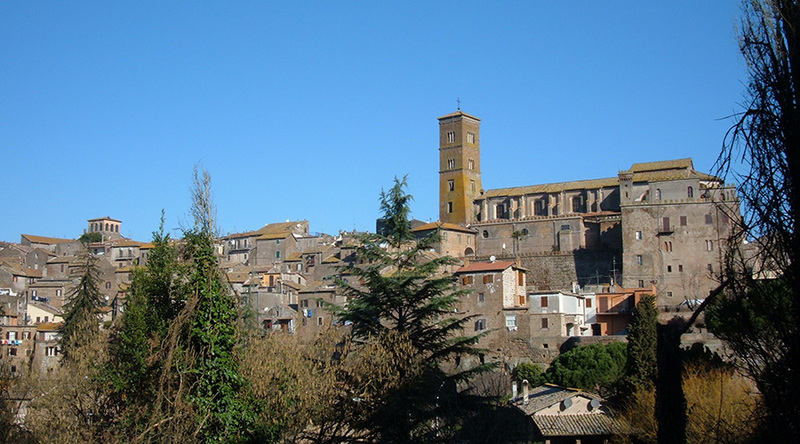 Viterbo also has a number of museums, but is perhaps best known as a year-round spa town, thanks to the curative waters of its Bulicame hot spring, famous for their beneficial effect on respiratory and rheumatic disorders since Roman times. 54 minute drive from Rio Coverino. Famous for the Renaissance splendour of Villa Lante, Bagnaia is also a charming medieval village clustering around its castle. Villa Lante was designed by Vignola in 1578, and is one of the most pre-eminent examples of Renaissance architecture. 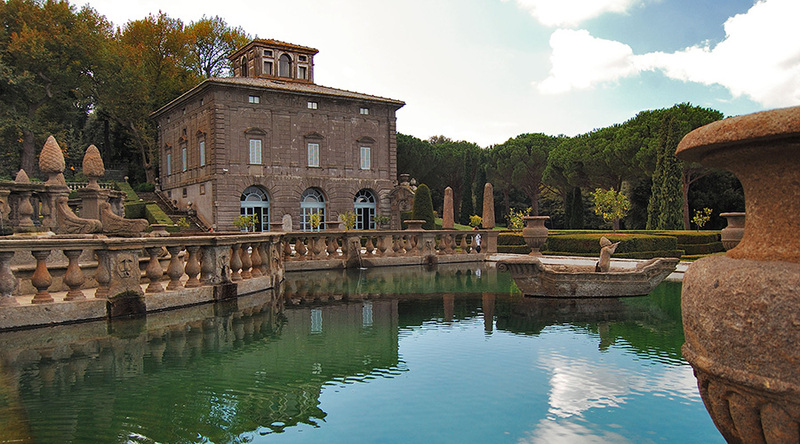 It comprises two symmetrical buildings with frescoes in the Mannerist style, surrounded by a splendid Italian garden with a wealth of fountains and waterworks. The whole villa is set in a lush park. 48 minute drive from Rio Coverino. Perched on a hill, the village is dominated by the stunning Palazzo Farnese, initially built by Antonio da Sangallo for Cardinal Alessandro Farnese and subsequently completed by Vignola, who transformed the original fortress into an elegant stately home. 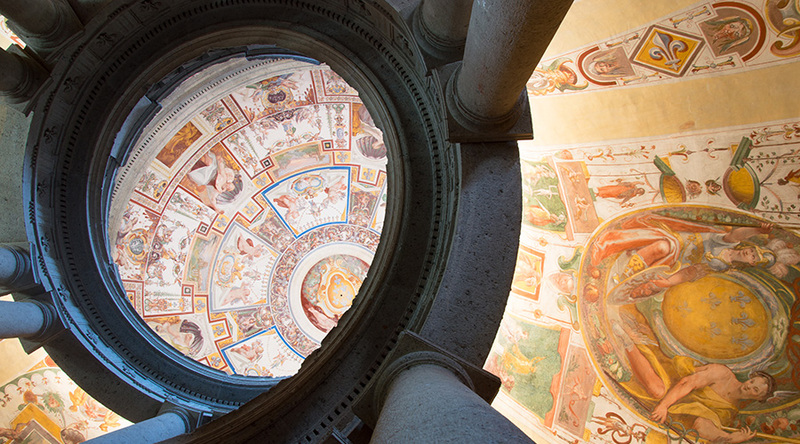 The Palazzo is considered the most significant building of the Italian Mannerist period, with its signature pentagonal shape enclosing a superb circular courtyard and splendid helical staircase leading up to the first floor. 39 minute drive from Rio Coverino. An important Etruscan settlement, Sutri boasts a magnificent amphitheatre carved out of tufa rock. The exact date of its construction is uncertain, but it is undoubtedly one of the most significant classical sites in Lazio. Equally interesting is the chapel carved out of the rock now dedicated to Our Lady, believed to have originally been a Mithraeum, and the Romanesque cathedral in the village square. 40 minute drive from Rio Coverino. 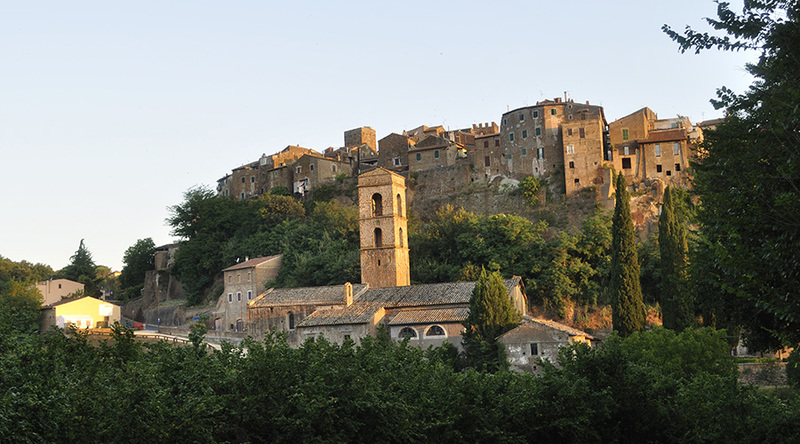 Charming little hill town of Etruscan origin clustering around a picturesque medieval centre and nestling between Vico Lake and the Cimini Hills. The cathedral and the church of S.Maria della Pace, believed to be by Vignola, are architecturally the most interesting buildings, while the carnival with its allegorical floats and rider-less horse race is justly famous. Perched on a rocky spur above the ravine of the Treia river, Calcata offers visitors superb views. The entrance to the village, through a double medieval gate set between two cliffs, is particularly picturesque, while a maze of intricate alleys lead away from the central piazza. 25 minute drive from Rio Coverino. 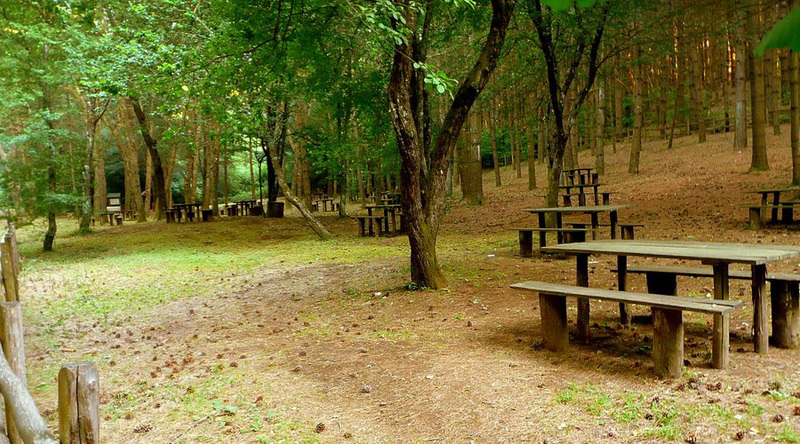 A wonderful place for walks with its intimate valleys and lush woods of beech and chestnut trees. For the less energetic a drive along a panoramic paved road leads to the summit (1053 m). On the crest of the highest hill is a panoramic tower and the famed Menicante Stone, cited by the Romans, a rock perched precariously on the summit of the hill. 43 minute drive from Rio Coverino. Nestling amidst the chestnut woods of the Cimini hills, the village of S.Martino al Cimino is notable for its seventeenth century urban planning, super-imposed on the original medieval centre. 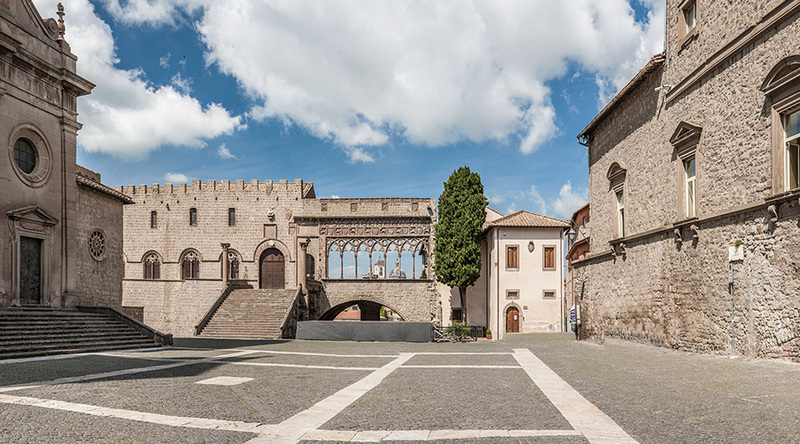 The main roads of the village all lead to the magnificent thirteenth century Cistercian abbey of St Martin, which in its day wielded considerable influence over the medieval architecture of Viterbo and its surrounding area. From the highest point there is a delightful view over the countryside. 50 minute drive from Rio Coverino. An important local town perched on a flat spur of rock rising from steep ravines, built on the ruins of the Faliscan town of “Falerii Veteres”. Its most significant buildings are the cathedral, an impressive example of Romanesque architecture and the imposing Rocca dei Sangallo fortress with its frescoed courtyard. The fortress houses an archaeological museum with interesting examples of local finds. 5 minute drive from Rio Coverino. Corchiano also goes back to Faliscan times and is almost certainly built on the site of the former Fascennium. 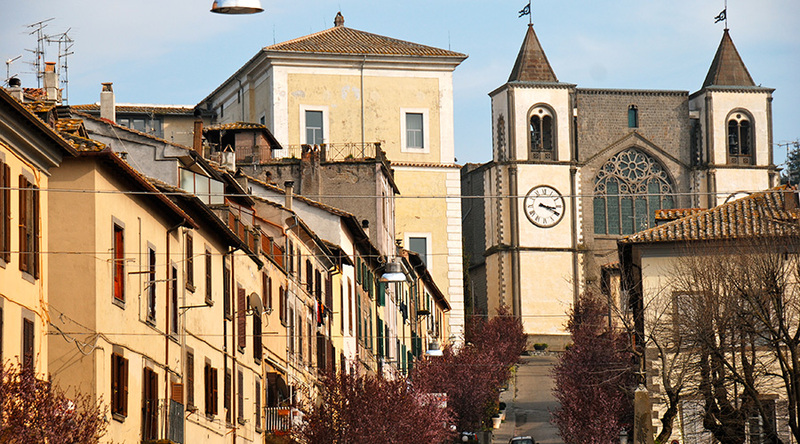 Its historical centre, which dominates the Treia valley, is famous for its churches: the seventeenth century church of San Biagio with frescoes by Lorenzo and Antonio da Viterbo; the seventeenth century Madonna del Soccorso or del Rossore with its splendid chapel of Paradise frescoed by Federico Zuccari and the sixteenth century church of Sant’Egidio frescoed by Bartolomeo Torresani. 10 minute drive from Rio Coverino. 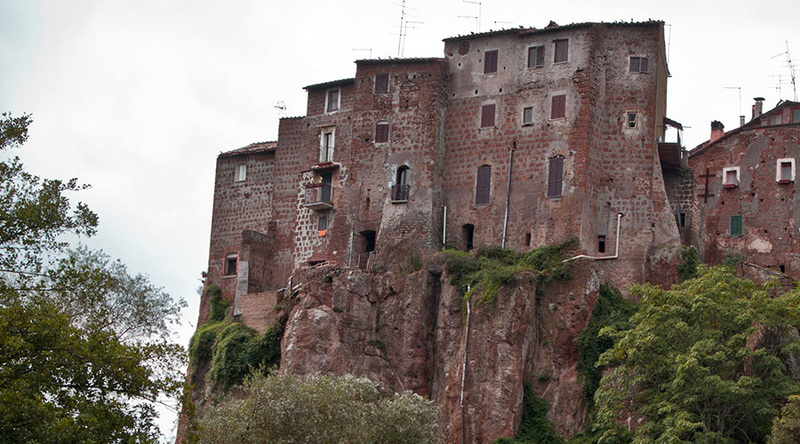 Just 5 km from Rio Coverino lies Gallese, a settlement of Etruscan origins perched in a picturesque position on a rocky spur. The Palazzo Ducale is well worth a visit, a seventeenth makeover of the original medieval castle by G. Della Porta, a pupil of Vignola. When the Romans conquered Falerii Veteres, now Civita Castellana, in the 3rd century BC, they moved the populace 5 km west to a less-easily defensible position on a plain, Falerii Novi. The Roman town was abandoned during the Norman invasions of the 10th century AD and its people moved back to the original site of their town. Falerii Novi is now a fascinating archeaological site, with two whole kilometres of intact Roman walls and towers. 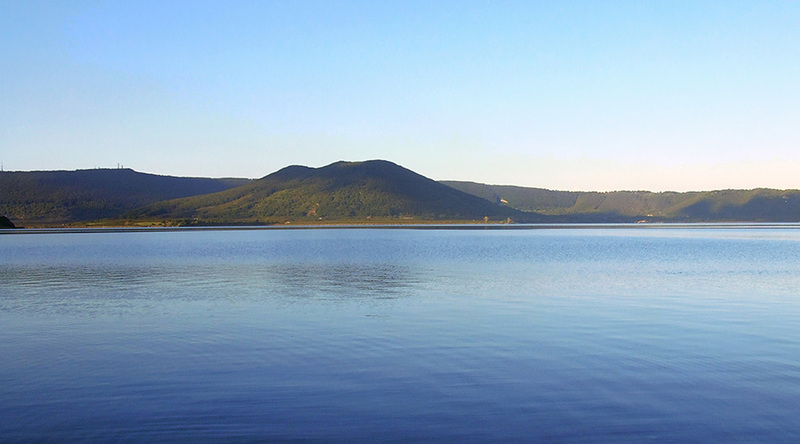 The ideal place for a stroll through nature, Vico is an unspoilt volcanic lake with lovely beaches and superb views. The lake itself is full of pike, perch and tench, while its shores are home to coots, mallards, flocks, woodpeckers and small mammals. There are also a number of very pleasant lakeside restaurants. 30 minute drive from Rio Coverino. 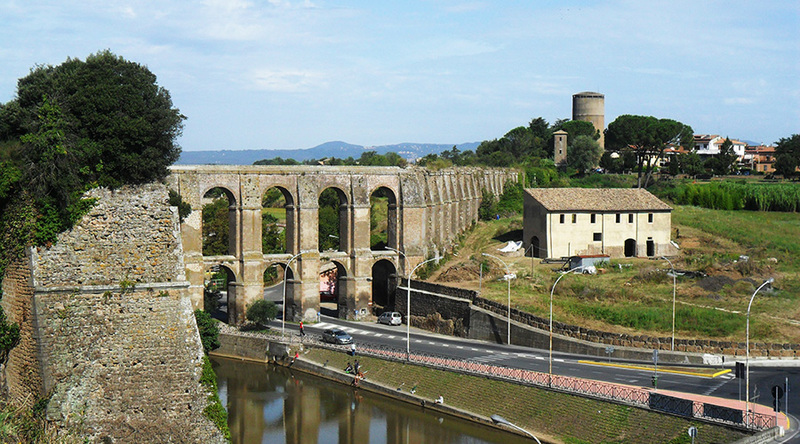 An Etruscan settlement clustering around its medieval centre, Nepi is famous for its formidable walls and imposing castle. 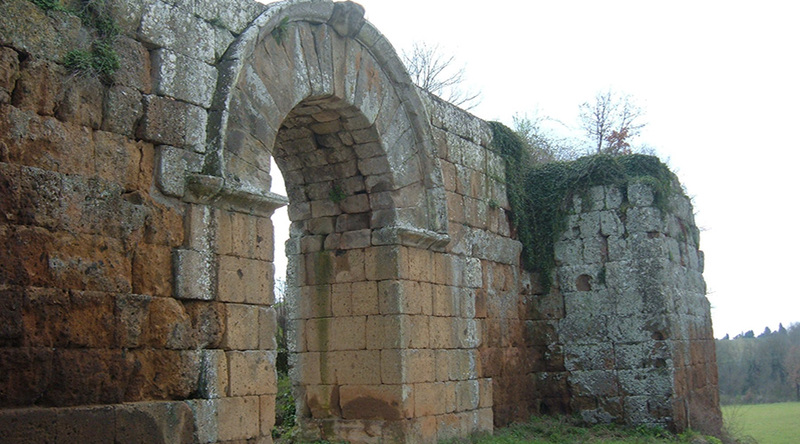 The soaring arches of eighteenth century aqueduct at the northern gate of the village are particularly picturesque. Also worth a visit are the cathedral and the Baroque town hall built by Antonio da Sangallo. 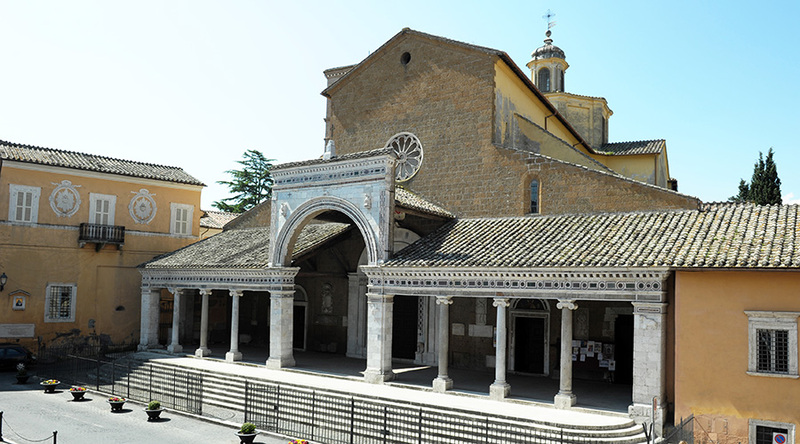 Nearby is the Romanesque Basilica of S.Elia or S.Anastasio, with an interesting cycle of frescoes in the Byzantine style, a cosmatesque floor and an ancient parchment. 15 minute drive from Rio Coverino.